Corporate apartments are an oasis for the traveling businessperson who often sacrifices comfort and privacy when on assignment and far from home. Corporate apartments are an efficient, useful option for both professionals and their employers, who are always looking for a way to draw top talent. And if securing top talent is the goal, nothing makes a strong impression like putting that prospective employee or new hire in a fully furnished, amenity-rich apartment. Comfort is just a word, though. What does it really mean to an executive, a consultant or a project manager? These high-powered individuals are accustomed to a certain level of quality and service. How can corporate apartments meet those standards? Corporate apartments are far more spacious than other lodging options – Corporate apartments are not dense residential complexes where the goal is to jam as many rooms together as possible. Even luxury hotels have to cut corners on space to accommodate additional guests, so those cramped quarters may not be commensurate with what the company is paying for. Luxury corporate apartments are a deviation from approach, emphasizing space and making it a primary selling point to professionals and their employers. High-end units offer full floorplans, which means an extended living room, a full-size kitchen, a separate bedroom large enough to accommodate a king-size bed, additional bedrooms if needed, and one or more bathrooms. For all intents and purposes, these are standard sized luxury apartments, so there is room for an entire family. According to some of the best hospitality studies on the subject, many business travelers bring their families with them, making this extra space a valuable consideration. Corporate apartments are fully furnished, with high-end furnishings – Many hotels can claim to be fully furnished as well, but this is a bit misleading. Hotels have less space to furnish, so the offerings are on the minimal side. Further, hotels are only accommodating people for days at a time, if that long. With their quick turnaround, hotels are not incentivized to keep a guest comfortable for long, and this may be reflected in their inferior furnishing choices. Squeaky, thin beds, stiff sofas and outdated appliances are just a few of the concerns with hotels.There are no such concerns with corporate apartments, which have to impress discerning clients for weeks or months at a time. For this reason, respectable corporate lodging locators will match their discerning clients with a living space filled with high-end furnishings. And in addition to those furnishings, luxury corporate apartments come with quality décor, extra linens, a full array of housewares like dishes and cookware, and a full set of appliances, including washer and dryer, internet and cable. Corporate apartments offer competitive, or better, rates than other options – The idea of a luxury corporate apartment may sound expensive, but that’s usually not the case. Of course, lodging costs vary depending on location and quality, but corporate apartments still offer much more value versus comparable hotels and extended stay locations.Corporate apartments are leased out for at least 30 days, but can be held onto for months or longer. This longer-term commitment allows businesses to secure quality lodging for their people, for an extended period and at a reduced price. Though it is clear that corporate apartments offer excellent value to companies and excellent comfort to professionals, they aren’t interchangeable. Just as there is a significant variance in quality from hotel to hotel, there can be significant quality differences from one corporate apartment to another. Businesses often don’t have the time and manpower to spare on tracking down the perfect corporate apartment. That’s where an industry expert like Murphy’s Corporate Lodging comes in. For more than 45 years, Murphy’s has provided lodging solutions to businesses in nearly every conceivable industry. Our experience in this area has made Murphy’s a leader in lodging solutions, and as a result, our operations have grown rapidly since our founding. With decades of experience and a commitment to customer service, there is no client we can’t help. Murphy’s only deals in Class A communities – Residential properties are categorized into three classes, depending on their location. This accounts for things like proximity to schools, restaurants and grocery stores, as well as the area’s safety. 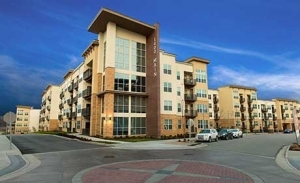 Because Murphy’s has developed lasting relationships with corporate apartments throughout Texas and beyond, we settle for nothing less than the best. In this context, that’s a Class A community. No matter where the road takes you, if Murphy’s has a partner there, rest assured that it’s a residence fit for even the most demanding professional. Murphy’s elevates the quality of furnishings and amenities further – There’s already a lot to like in a luxury corporate apartment, but that’s still not enough for Murphy’s. Our properties come with premium provisions like flat screen TVs, king beds and upgraded housewares of our own choosing to ensure every guest gets the most out of their stay.Murphy’s realizes that executives, project managers and consultants have a lot to focus on, which is why we provide bi-weekly housekeeping as part of the stay. Murphy’s truly prioritizes customer service – Again, traveling businesspeople have a lot on their minds. That’s why Murphy’s reaches out to all of our guests regularly, through phone or e-mail, to ensure their stay is going as planned. If a guest needs a grocery delivery, a ride somewhere or just some insight into what the surrounding community offers, consider it done. Business and pleasure may not always mix, but with a luxury corporate apartment to relax in, that old adage will be tested.